The Lincoln Stars will play three games in three consecutive days for the first time this season when they take on the Chicago Steel at the IceBox on Thursday evening, before going on the road for back-to-back games this weekend in Des Moines, IA against the Buccaneers. All three games will begin at 7:05pm CST. The Lincoln Stars enter this weekend with a record of 2-7-4 (8 points) and are in last place in the USHL western conference. The Stars are riding a five-game losing streak and have been outscored 22-11 in those five losses. Click here to view the current USHL standings. In a rare Thursday tilt at the IceBox, the Stars will take on the visiting Chicago Steel, who have a record of 4-11-0 (8 points) and are in last place in the USHL eastern conference. The Steel are the only other team in the USHL that has a lower winning percentage than the Stars (.267 to Lincoln's .308). This will be the first of two games the Stars and Steel will have against one another this season. On 1/17/14, the Steel will be back at the IceBox once again to face the Stars. 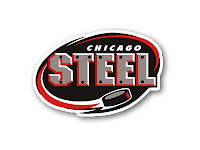 Despite their record and low winning percentage, the Steel are actually one of the hottest teams in the USHL right now. Chicago has won 4 of their last 5 games, including wins against Green Bay, Cedar Rapids, and two victories in a row on the road against the Fargo Force. This is not a team the Stars can take for granted. This Friday and Saturday, will visit Buccaneer Arena in Des Moines, IA for back-to-back games against the Bucs. Des Moines has a record of 5-8-1 (11 points) and occupy fifth place in the USHL western conference. In their only other meeting this season, the Bucs beat the Stars in Lincoln by a score of 4-3. In that particular game, the Stars outshot the Bucs 46-23, but lost in an overtime shootout. Much like the Stars, the Bucs aren't playing their best hockey right now. They've lost four of their last five, and were outscored 17-8 in those five games. Des Moines is 2-3-1 at home so far this season. Sorry for the short weekend preview! I had to spend time tonight putting the "Stars Sold?" article together, which limited the amount of time I could devote to this article. See you all at the IceBox Thursday night!